So you might not be able to take “pictures” with the camera bag but you can get your picture taken with a 2D Camera Bag! 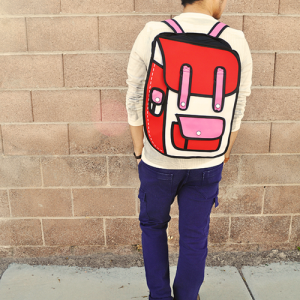 Join the looney squad with this famous bag! 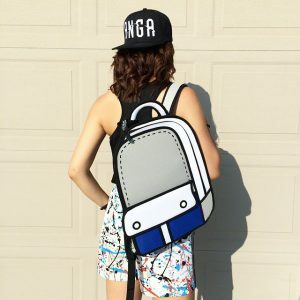 The most eye popping 2D Bag in existence! Closely resembling a popular social media platform instagram, this 2D Bag is nothing short of fantastic for the owner and viewers. While we admit it would be amazing to actually take pictures with this 2D camera bag, it is not a feature for it. None the less, it is a fan favorite and certainly the boldest camera bag out there on the market! 1. One main compartment great for fitting tablets, magazine, portable cameras etc.